Sixth Form pupils got a taste of Bavaria on Friday night as they held their own Oktoberfest celebrations in the Refectory. 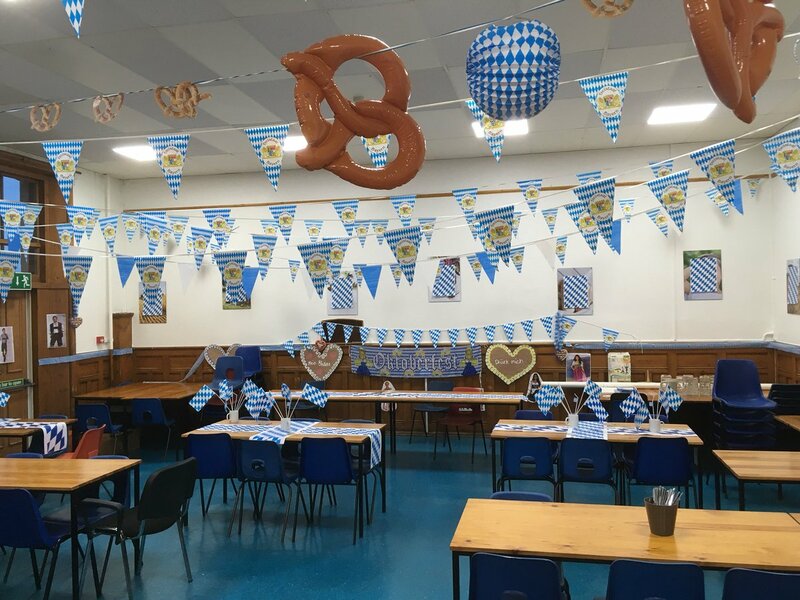 Pupils enjoyed an assortment of dishes courtesy of the school caterers, with the Refectory impressively decorated in Bavarian blue and white. Some of the German foods they enjoyed included bratwurst, sauerkraut, laugenbrezen, apfelstrudel and kartoffelsalat. A true feast was followed by a pub quiz and other traditional games, including a water drinking competition from steins! A great night was had by all, with a special thanks to the pupils, staff and caterers who organised and made it all possible.